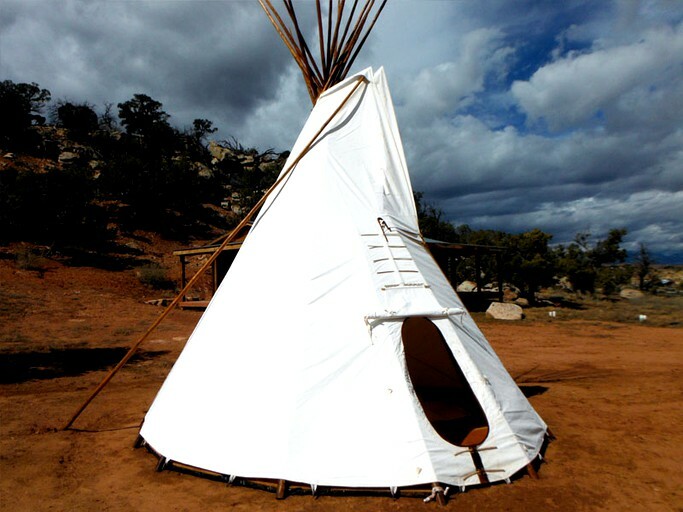 This rustic tipi is located in La Sal, Utah, near Canyonlands National Park, and can accommodate four guests. 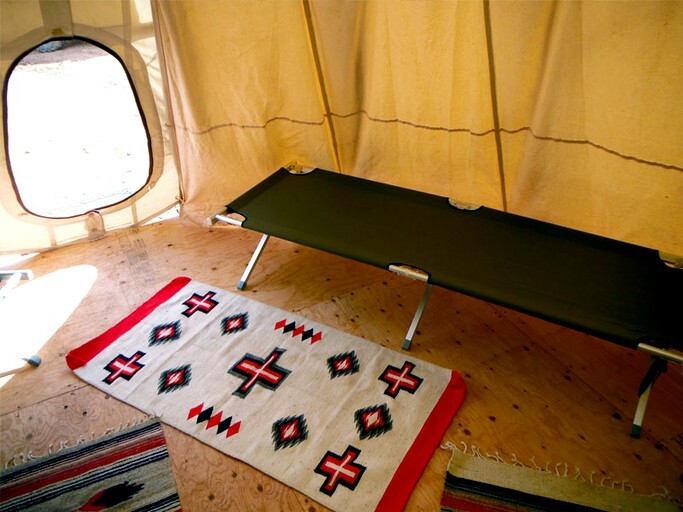 The unique space features four comfy cots and a rustic floor covering with brightly colored rugs. Over in the shared bathhouse, guests will find separate men's and women's shower facilities. Bedrolls and linens are not provided, but guests will be supplied with towels. This rental includes parking and limited internet access for emergencies only. Cell service is not available in the area. Complimentary breakfast served in the Cantina is also included during the months of May, June, September, and October. The cantina features a cozy fireplace in the lounge area. Outside, guests can roast marshmallows over the fire pit as the stars begin to twinkle in the night sky. Guests are given a 10% breakfast discount during the months of July, August, and November through April. Dinners are also available for an additional cost with notice in advance. Canned goods, eggs, and easy-to-prepare food items are available for purchase. Covered and locked storage is available for motorcycles on a monthly or yearly basis. The wide-open spaces around the Lisbon valley are ideal for hiking, mountain biking, and horseback riding. Guests will also find plenty of off-road trails for activities such as ATV riding and four-wheeling. 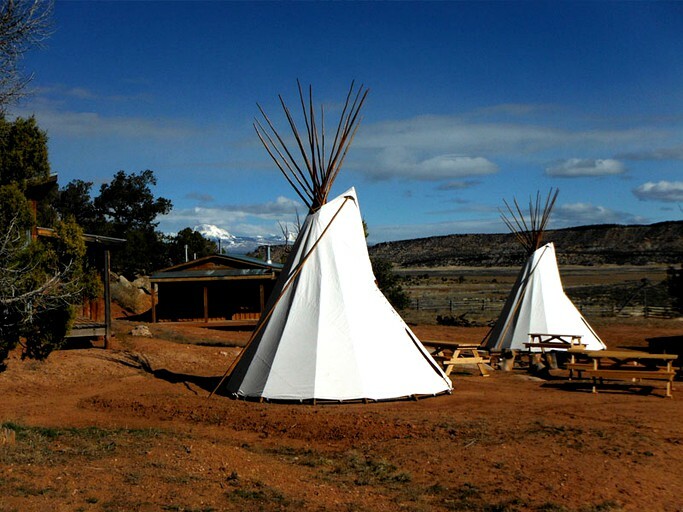 Glampers can pack up the car and drive to The Dinosaur Museum or bring the camera along for some priceless sightseeing at the Natural Bridges National Monument. Whether mountain climbing in the Manti-La San National Forest or simply wandering through the trees to enjoy birdwatching and wildlife viewing, guests are sure to adore this rejuvenating getaway. Up to two well-behaved dogs are welcome to tag along for an additional nightly fee per pet. Horse facilities are also available for a nightly fee per horse. Guests are responsible for supplying feed. 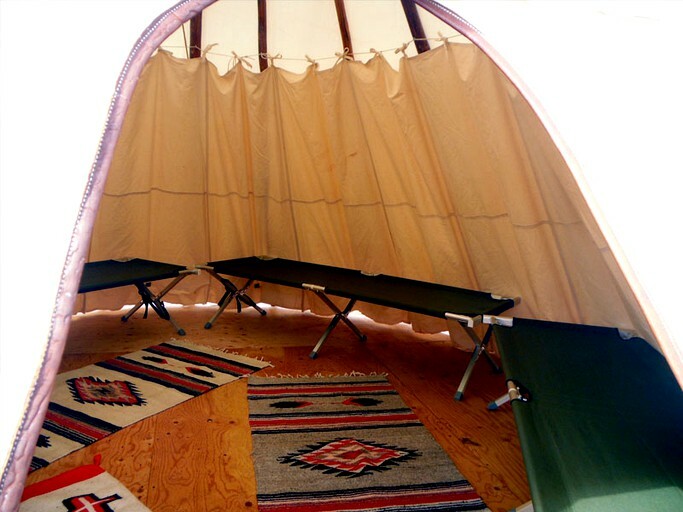 During the months of May to June, and September to October, breakfast is included with the tipi stay. During the other months, breakfast is available at an additional price.